Properly getting into this now. 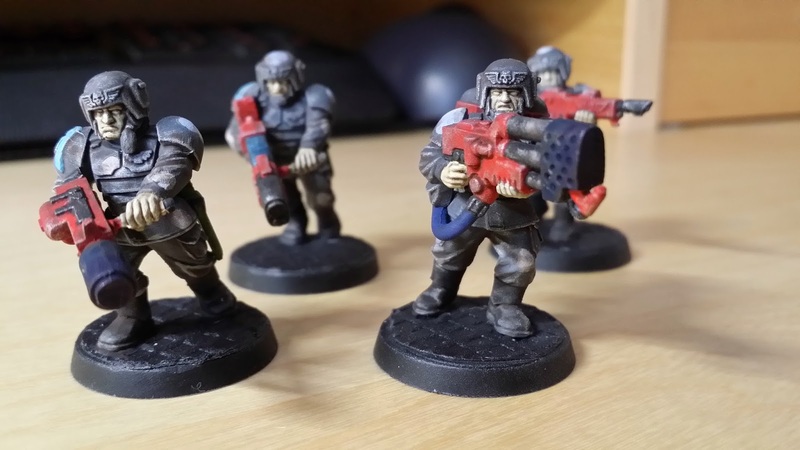 Some more special weapons dudes finished. Well, apart from the bases. So that is the last of the special weapon dudes. Enough to spread around various squads as need be. Looking good. I really like the texture on the bases and I'm sure they will turn out awesome. Cheers for that. My piece of wallpaper that I got as a tester from some diy place is rapidly dwindling. I hope that I will find some more if i need to.